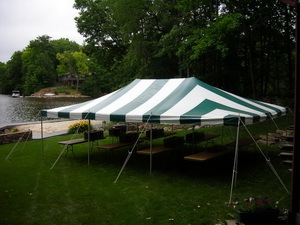 Since 1998, we have been providing fast, reliable tent and party rental supplies for graduation parties, weddings, bridal showers, summer parties, family reunions and more. If you are looking for affordable tent or party rental supplies, we've got you covered! *A delivery fee applies without tent rental. * Side walls are only available with tent rental. Metamora, North Branch, Ortonville, Oxford. Dryden, Imlay City, Lum, Leonard and Lake Orion. Please leave tables and chairs as they were. tent, so they stay dry for pickup. Copyright (c) 2018 Curry Tent Rental. All rights reserved.